Alberta’s abundance of agricultural space could host large greenhouses and various cannabis related operations. This may not be the case for many companies involved with cannabis; this is a journey with strict zoning laws, difficult permits and dozens of costs. Extract has been working along side Cannabis Haven International, a company that aims to solve many of the problems small local producers are facing. Here in Alberta, we have seen Old’s College, Mount Royal University, Red Deer College and other educational institutions offering courses aimed at the cannabis industry. Working to bring a new skill set to market and helping companies find talented workers that can help create quality and precedence within their operations. Today we see companies thinking even bigger, utilizing their newly acquired cannabis zoned location so that they can accommodate the cannabis industry in a big way. Local to Calgary, Cannabis Haven International aims to bring innovation close to home. Our team got to meet some of the directors behind the company Cannabis Haven, started by a handful of construction and design processionals. We visited their upcoming road map and learned about the cannabis brand’s vision; To create a space aimed at bringing bright minds together, while maintaining quality and providing an optimal product. 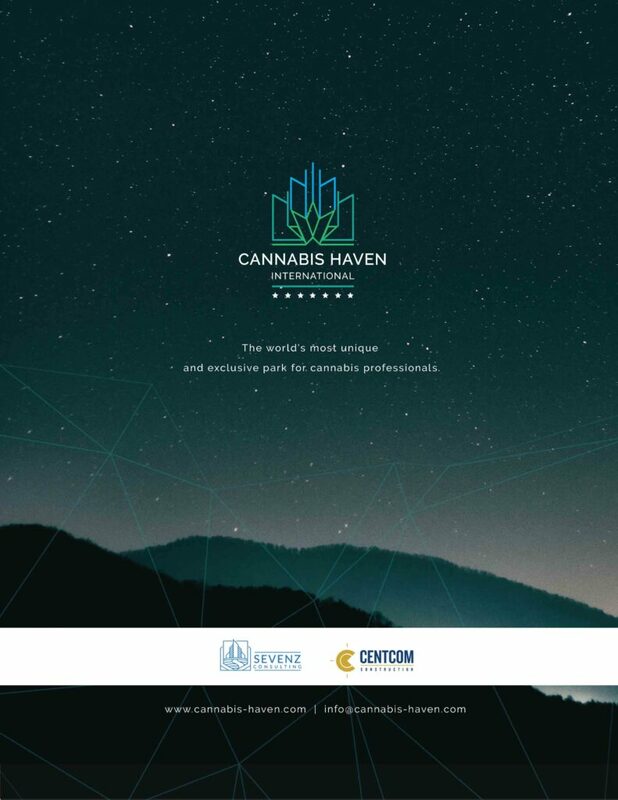 Cannabis Haven International is currently drawing up plans to construct a 80 Acre highly secured facility outside of Red Deer, and with groundbreaking expected as early as Summer 2019, there is plenty of excitement. This massive undertaking with 1.5 million sqft. of facilities will become a workplace for innovation, combining many specialists into a manageable area. This is a revolutionary concept that has been adopted by many modern corporations due to its ability to manifest a collaborative environment and provide entrepreneurs with a wide spectrum of studies and fields. We are pleased that Cannabis Haven International has chosen Alberta as its home base, this could in turn help in keeping Alberta ahead of the curve when it comes to this industry. This GMP & GPP certified complex will host packaging, labeling, amenities, presentation space, and lab facilities alongside purpose built canopy space. The idea is to allow micro growers to come and begin carrying out their research. These “ganjapreneurs” will be able to create their own products covering all the stages from research and growing all the way to packaging and shipping, allowing them to strictly focus on their product while Cannabis Haven International can help with obtaining permits and conveying information set out by Health Canada. To better serve the community they have set out to work with regulatory bodies and law enforcement as well as maintaining energy efficient plans to maintain sustainability and reduce the environmental impact. We picked up hints of possible expansion, but we will have to wait and look forward to seeing what the future has instore.